Towson Sports Medicine and Baltimore Union SC teamed up earlier this year to provide the members of the club and their families’ access to comprehensive sports medicine services to those participating in youth sports. 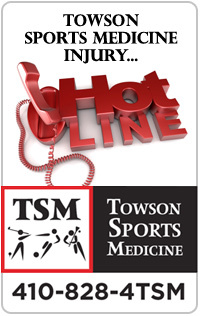 Towson Sports Medicine provides athletic training services at club events, a large referral network of sports medicine physicians and therapists, and educational programming for players and families alike. Brian Perez, Head Athletic Trainer, Coordinator of Outreach and Dr. Sarah Hobart will be holding a Q&A session during training as CCBC Essex on Thursday 2/15/2018 from 6:30-7:15pm and 7:30-8:15pm. Dr. Hobart has been involved in the game of soccer as a player, coach and physician. She played collegiate soccer and Davidson College, coached the women’s team at Columbia, and served as team physician for both the USMNT, USWNT, LA Galaxy, Peprerdine University, New York University and numerous high school teams. She will be serving as the team physician for FC Baltimore as they join the NPSL this year. Brian and Sarah will be discussing comprehensive services offered at TSM’s newest facility in Rosedale and will be happy to answer any sports medicine related questions parents, coaches, or athletes may have.